In trading on Monday, shares of Double Eagle Petroleum Co.'s 9.25% Series A Cumulative Preferred Stock were yielding above the 10% mark based on its quarterly dividend (annualized to $2.3125), with shares changing hands as low as $23.10 on the day. This compares to an average yield of 7.46% in the "Oil & Gas Exploration & Production" preferred stock category, according to Preferred Stock Channel. On 12/18/13, Double Eagle Petroleum Co.'s 9.25% Series A Cumulative Preferred Stock will trade ex-dividend, for its quarterly dividend of $0.5781, payable on 12/31/13. As a percentage of DBLEP's recent share price of $23.02, this dividend works out to approximately 2.51%, so look for shares of DBLEP to trade 2.51% lower — all else being equal — when DBLEP shares open for trading on 12/18/13. Double Eagle Petroleum Company (Nasdaq:DBLE) has been downgraded by TheStreet Ratings from from a hold to sell. Double Eagle Petroleum Company (Nasdaq:DBLE) has been downgraded by TheStreet Ratings from from a buy to hold. Double Eagle Petroleum Company (Nasdaq:DBLE) has been upgraded by TheStreet Ratings from a hold to buy. Shares of Double Eagle Petroleum Company (Nasdaq:DBLE) were gapping up Tuesday morning with an open price 10.6% higher than Monday's closing price. The stock closed at $6.05 yesterday and opened today's trading at $6.69. Oil prices sprung back to positive territory Wednesday morning. If the U.S. defaults on its debt, oil prices could actually rally, according to analysts. Oil prices were sinking on poor jobs data that seemed particularly gutting given previous day's spate of upbeat economic reports. Crude oil futures closed weaker Thursday ahead of an upcoming meeting by the Organization of Petroleum Exporting Countries and after a hurricane season forecast was released. Shares of Double Eagle Petroleum Company (Nasdaq:DBLE) have taken a tremendous swing upward. The stock is trading at $11.11 as of 3:10 p.m. ET, 20.9% above Wednesday's closing price of $9.19. Volume is at 875,514, 3.1 times the daily average of 281,800. 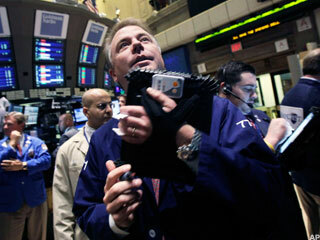 TheStreet Ratings released rating changes on 10 U.S. common stocks for February 18, 2011. Eight stocks were upgraded and two stocks were downgraded by our stock model. 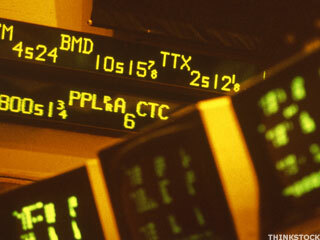 The market is off to a bullish start in 2011, and these are some of the stocks leading the way. Darden Restaurants, Double Eagle Petroleum, Littlefuse, Univest Corp. of Pennsylvania upgraded; WCA Waste downgraded. GB&T, Trustco downgraded; One Liberty upgraded. Natural gas is lower after the latest inventory data.